Our range of DHOAS home loans are specially tailored to those in the Australian Defence Forces – with great rates and flexibility. The DHOAS 2 Year Fixed Rate Home Loan gives you the best of both worlds - peace of mind with the certainty of fixed rates, without being locked in for a long period of time. Apply for the DHOAS 2 Year Fixed Rate Home Loan online, over the phone on 1300 13 23 28 or by visiting your nearest branch. We’re often asked similar questions about our DHOAS 2 Year Fixed Rate Home Loan so here are our top five – can’t see your question? Call 1300 13 23 28. Yes. The DHOAS 2 Year Fixed Rate Home Loan is available for buying a home, and refinancing. Yes. This home loan can be split with other DHOAS Home Loans. No, a redraw facility is not available on the DHOAS 2 Year Fixed Rate Home Loan. Refer to the comparison table below for the full range of features. No, an offset account is not available on the DHOAS 2 Year Fixed Rate Home Loan. Refer to the comparison table below for the full range of features. An affordable home loan with an offset account and redraw facility. Enjoy a competitive variable rate and the benefits of an offset facility. A special loan to help you pay for your home at various stages in the building process. 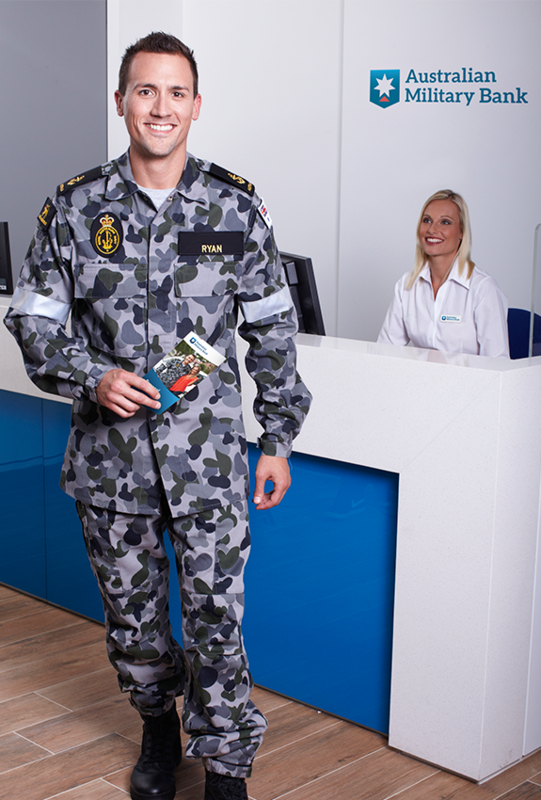 DHOAS Home Loan applications are subject to Australian Military Bank’s normal lending criteria. Full terms and conditions will be included with our loan offer. Fees and charges are payable. Rates are current at the time of publication and are subject to change. 2 Rates are current at the time of publication and are subject to change. The rates displayed are at 80% LVR (meaning that a minimum 20% deposit is required). The rates displayed are only available for owner occupier, loan borrowings of $150,000 or more (excluding the DHOAS Value Home Loan, the interest rate displayed is applicable for loan borrowings of $500,000 or more).